In the rapid development of basic infrastructure, now-a-days roads in India are looking better, yet I am not sure whether you can drive your luxury cars through the village roads if you like it in proper condition. Its better to use rough vehicles in village roads. Driving through these roads may not be comfortable, but its a good way to increase your driving skills!!! I was returning to home after my driving classes, in a beautiful day of september. Usually its the time of monsoon rains; monsoon arrives in Kerala in the first weeks of June, and then it will continue for a few months. Walking through the roads and paddy fields while raining (of course with out an umbrella) is an unforgettable experience. The moment of happiness is when the cold rainwater slowly flows through your body giving you the rare experience of a attachment with the nature. Now patterns are changed and the temperature in the off summer days too increased, dont know how much it will increase in the future, my district records the highest temperatures in Kerala. Now-a-days people are more interested in siting inside and watching TV, instead of enjoying this rare moments. As the driving class is near to Kunthipuzha Bridge in NH 213, I have to cross the river to reach my home. 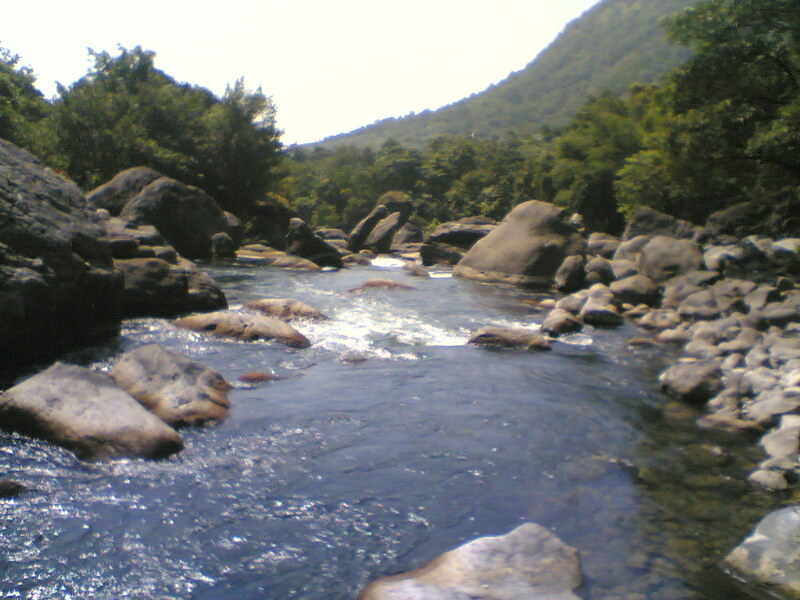 Kunthipuzha starts flowing from the Silent Vally National Park, which is a rare evergreen forests in Kerala and home to many endangered species. River looks beautiful, a lot of round, oval shaped beautiful stones only adds her charm. As the river is still in her early stages the amount of sand is low in these areas, but people are not ready to that too. More interesting thing is that the bridge built by British across this river is still in working condition and many tankers lorries and other container carriers are using it, whereas another one situated a few kilometers from here, across another river, broken twice in in its short life!!! I walked through the bridge, looking in to the river, a river which feeding the entire population of the area with her water, and maintains the water level in the nearby wells and providing water for irrigation. A lot of thoughts came into my mind, if rains reduced, climate changed then what will happen? After the next turning I took a shortcut leaving the National Highway (Its another matter that it doesn't have enough width to call it as a national highway, but in a small and highly populated state like Kerala its very difficult to increase the width of the roads) behind. Within minutes I reached the main road going to my village. 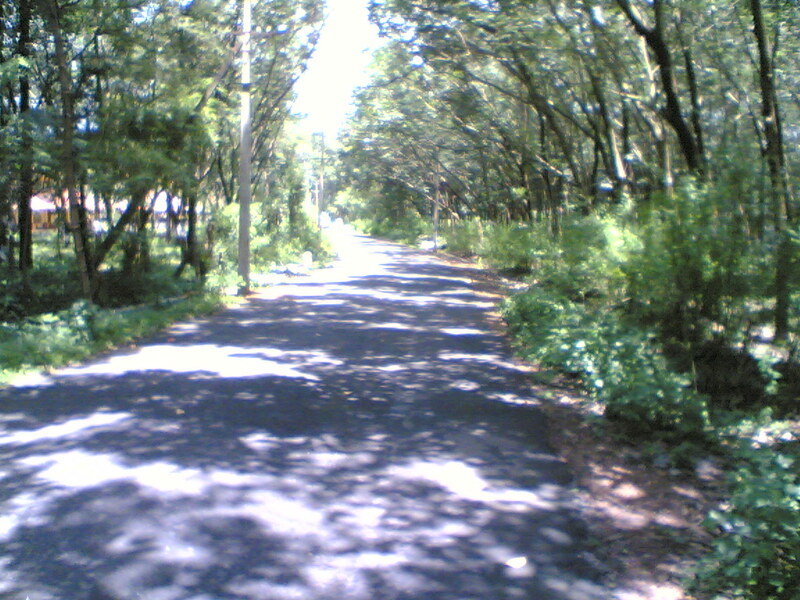 I am walking through this road after many months, after my +2 bus was the mode of transport to cover the distance. Now anyone have the time to walk? spending some time to sit in the shades? Now-a-days people are either using bus or there own vehicle for their journey, bikes are very popular here and slowly cars too create their own space, now a days time became a critical factor; influencing each and every things in day today life. But as I advanced through the road the increase in temperature become more evident. Surroundings were changed already; green cover on both sides of the road which act as an umbrella for the travelers reduced to considerable extent; most parts of the roads are now exposed to sun and the temperature is high in that ares. Occasionally I can saw a green cover, but now they are few and far apart. Earlier I enjoyed (even now) sitting in the window seat of bus to watch the huge trees - have take a 90 degree upward angle to saw the top of the huge mango and other trees, accompanied with a cool breeze and sweet smell - sweetness of a mango. Its more than enough to forget our tiredness. But now, in the name of modernization and development we lost the smell, lost that energizer. Today trees were rapidly disappearing, the sweetness gone but smell is there - afoul one. 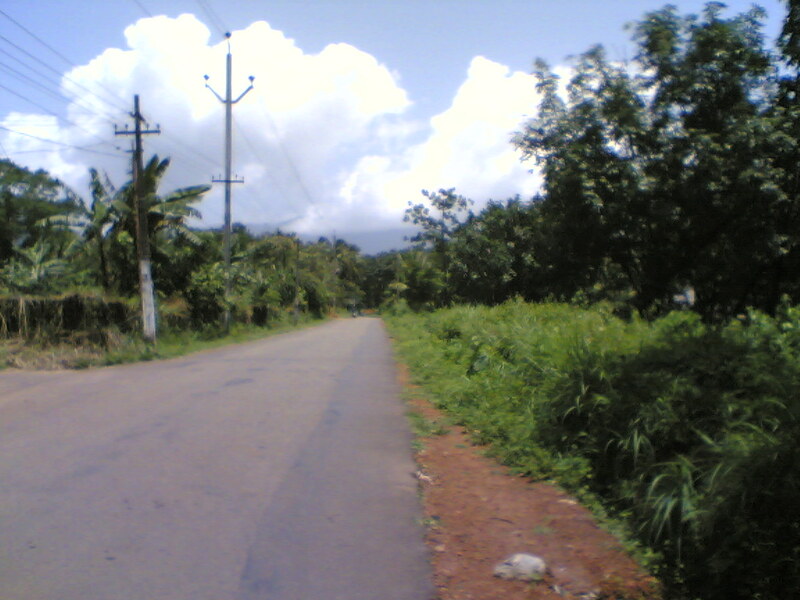 The main attraction of village roads in Kerala is its sharp turns, if you are going for hilly regions you can enjoy more hairpins. I can bet that if you learned driving in these roads you can drive wherever you like. One more interesting thing in the roads is the punctuality of the private buses in northern Kerala, as punctual that it can even beat best of clocks. After a lot of turnings I reached my destination. But the main question is weather I enjoy the walk? Of course still I like to stand below the trees and enjoy there shade, shades which is rapidly disappearing. How long, how long it will be there? Is this the prize we have to pay for modernisation and development?